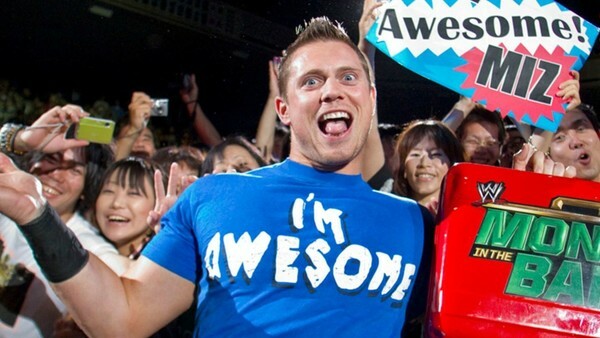 WWE Quiz: The Miz - How Much Do You Know About The A-Lister? I'm The Quiz, And I'm AWESOME! The Miz is someone who should never have succeeded in WWE. Entering Tough Enough following a stint on MTV's The Real World, no-one expected big things from Michael Mizanin's alter-ego. Even when he was hired as a host on Friday Night SmackDown, many thought him to be nothing more than a flash in the pan. Nevertheless, he made his main roster debut in September 2006, and hasn't looked back. Perceived by many to be the antithesis of what makes a wrestler, he's broken the glass ceiling and gone on to unbelievable success. The Miz made the Intercontinental Championship relevant again, won the WWE Championship in a classic cash-in on Randy Orton, and has had unforgettable feuds with the likes of Dolph Ziggler, John Cena & Daniel Bryan. Regardless, just how much do you know about the A-lister? Who did he knock off the ladder before becoming Mr Money in the Bank? Which WrestleMania did he main event with John Cena? What did Daniel Bryan call him, that caused Miz to have an infamous meltdown on Talking Smack?! 1. What Year Did The Miz Compete In Tough Enough?